When I conduct phone consultations, I always like to ask callers why they are seeking Italian citizenship by descent and one of the most common answers is, “I would love to retire there some day.” With 20 regions (states), Italy offers an array of differing climate patterns from cool in the Alpine to hot and sunny along the southern coasts. Each region is unique, with its own activities, regional customs, food, wine, and even ancient dialects that are still spoken by the natives of the area. When looking for a place to enjoy your retirement years, a little research on regions beyond the well-known Tuscany or Sicily will go a long way in helping you choose the right place to call home. Below are some regions worth exploring. Many of the Italian ancestors emigrated from these regions so it might be worth checking out your ancestral town or city as a place to return to! Abruzzo. Geographically, Abruzzo is located in central Italy and southern Italy, stretching from the heart of the Apennines to the Adriatic Sea, and includes beautiful mountainous areas and wild land. In fact, one-third of its territory is made up of national parks and nature preserves. Buying a home in a medieval rural village could cost you between $38,000 and $100,000, depending on size and location. 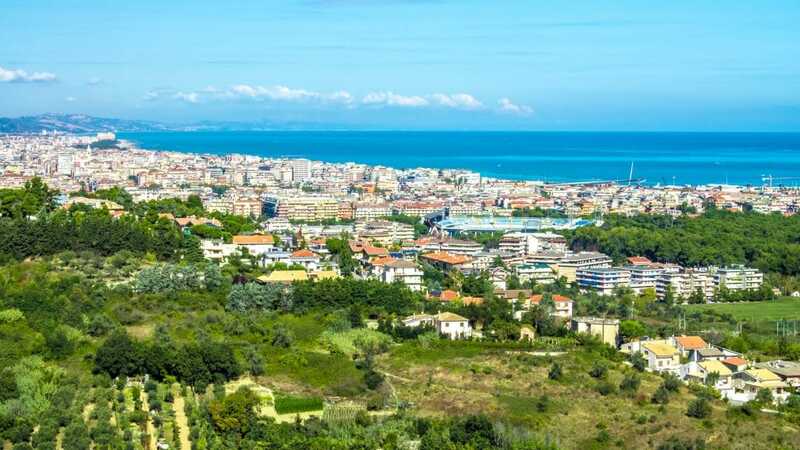 Larger towns or cities in the region, such as the province city of Pescara on the coast, list homes starting at $115,000. Monthly rentals can range from $500 per month for a studio apartment up to $1030 per month for a large 2-bedroom. A monthly budget of $1500 will cover basic expenses – home, utilities, entertainment, food and wine – in most of this area. 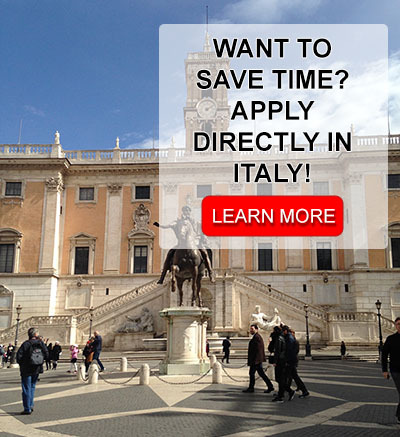 The distance from Abruzzo to Rome is about a 3 ½ hour day trip by car, train or bus. Le Marche. The region is located in the Central area of the country, bordered by Emilia-Romagna to the north, Tuscany to the west, Umbria to the southwest, Abruzzo and Lazio to the south and the Adriatic Sea to the east. Hilly areas cover two-thirds of this region. The hills are interrupted by wide gullies with numerous small rivers and alluvial plains, which makes this region ideal for those who love nature. The parallel mountain ranges consist of the Furlo, the Rossa and the Frasassi, which contains deep river gorges. Renting a home or apartment in Le Marche can run anywhere from $600 in the countryside to $1500 a month to live on the 100 miles of Adriatic coastline. If you are in the market to buy, expect to pay approximately $300,000 for properties on or close to the water, in a town like Potenza Picena or in one of the medieval towns like Ascoli Piceno. Puglia. Located in southeastern Italy, Puglia is one of Italy’s largest regions at 7,469 square miles. Roughly 50 miles from Greece, it offers seaside towns, mild winters, and a low cost of living as is common in the south. It’s ideal for those who enjoy summers that are long and hot which are ideal for trips to the nearby seashore. 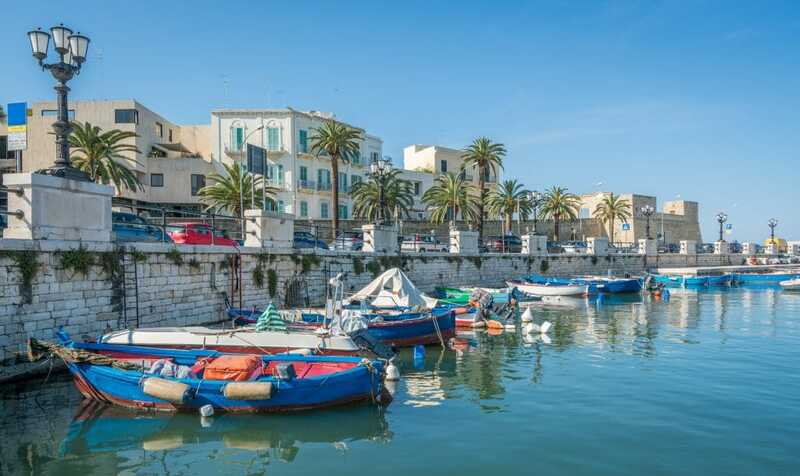 The large province city of Bari is well known to most Italian Americans as many of the Italian ancestors who came to the U.S. were born within this province. If you are looking to buy, simple modern one-bedroom homes start at $80,000 and two-bedroom homes start around $130,000. The “Trulli” cottages – buildings with a conical roof found only in Puglia – range from $80,000 and up. 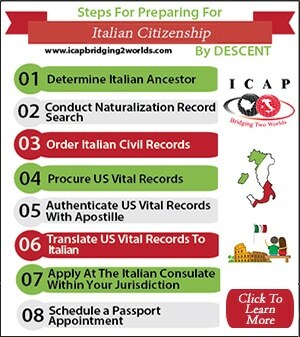 If you have acquired Italian citizenship by descent (as well as through marriage or naturalization) you do not need to be concerned about a visa! If you want to live in Italy and can afford to do so without a job, you can apply for a “Visto per Residenza Selettiva o Dimora” (an Elective Residency Visa) at the Italian consulate in your home country. Once you receive this visa, you must bring it to Italy to apply for a permit to stay (Permesso di Soggiorno). Retirees who are not Italian citizens use this type of visa, especially if they are collecting pension or retirement funds. In order to qualify for this visa, you must show that the annual income of every adult member of the family is approximately 7,740 euros (around $9,670). You will need to verify the exact amount with the Italian embassy or consulate that has jurisdiction over your place of legal residence in the U.S. before you plan your move. The income can be shown as pension, retirement funds or other means of income in a bank account. When you have your “Permesso di Soggiorno” and have been living in Italy for five years, you are eligible for the EC Resident Permit for Long-Term Residents. This type of residency permit does not need to be renewed. Italy has a national health plan that all Italian citizens are entitled to use. U.S. and Canadian citizens can apply to join the plan if they are legal residents. The World Health Organization (WHO) ranks Italy as number three for healthcare systems. While Italy overall is known for having top-notch medical services and hospitals, rural public medical facilities, especially in the south of the country, can be lacking, so it is advisable that you carry some form of private insurance, like many Italians do. When you retire in Italy, you won’t just need to keep your eye on the stocks as you do in the U.S., but you will want to follow the fluctuating euro-to-dollar exchange rate. When the dollar is up, you’ll have more spare cash. When it’s down, you’ll need to tighten your budget. If you opt for rural living, don’t forget the additional expense of a car and car insurance. Auto insurance can run about $570 per year plus paying for “road tax” and gas for your car, which adds up! It is definitely possible to live an enjoyable and affordable life in Italy, but you have to do your research before deciding upon a location! Finding the right location for your budget is a must for your successful retirement. For more information and guidance, check out sites such as What Does Retirement Cost Abroad and Homes and Villas Abroad, Property in Italy.